A tale of two nines (as old as each other) that date back to 1895. One around and over a hill; t'other along flatter terrain. Either way, it's tight and demands accuracy off the tee. Between 25th and 28th July, Bull Island's St. Anne's will host a series of events... for a price ranging between €15 and €20. That's a value that is hard to beat anywhere, let alone Dublin City. Their new clubhouse is a remarkable construction and no doubt worth an hour or two in the bar/restaurant after your round. Thursday 25th: Gents and Ladies four person team event. Thursday 25th (evening): Mixed Scotch Foursomes over 9 holes. Dunmurry Springs is known for a few things... views of seven counties on a clear day for one, strong hillside golf and the difference between the white and blue tees, which comes to 700 yards. 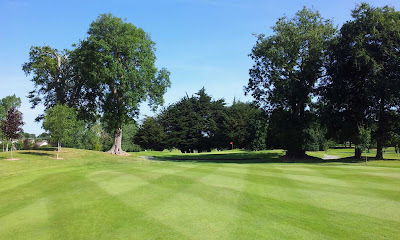 The club is hosting two 'Blue Tee' events, where you take on the full length of the course (6,757 yards) for €20, this Saturday and Sunday (14th and 15th). Green fees, like St. Anne's, are also excellent value at €15. 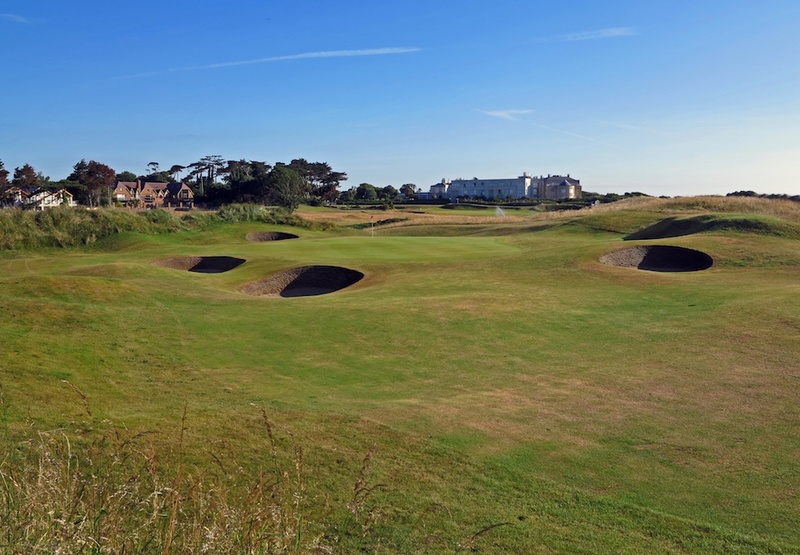 On Sunday the 14th and 21st July, the golf club is holding a Singles Stableford Competition. The green fee is €45. This Bernard Langer-designed course sits back-to-back with the heavyweight that is Portmarnock Golf Club, and while it clearly doesn't carry the same reputation there are plenty of golfers who prefer the newer course. It comes with an impressive hotel and it plays tough. I remember the greens being big and slick, and there are many opportunities to play bump and run... and plenty of other opportunities to lose a ball or lose your head.